Welcome to the 18th ISAD Online Conference! 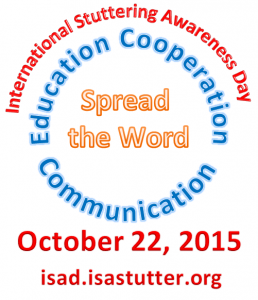 The conference runs from October 1 until October 22, International Stuttering Awareness Day. You can enter the conference by clicking on the top menu bar and read the content. If you would like to comment or ask a question you must login – you can register or login using your Facebook, Twitter or Google, as shown on the login/register pages. If you not are already registered, you must register first. Login and register options appear on the right navigation bar. For those of you using the ‘Ask and Expert’ and the ‘ISAD 2015 Around the World’ pages, please read the instructions on each introduction page before posting to that topic. People reading the pages of this online conference may not have English as their first language. An automated translation service can be found on the right side of each page of this website. To use it on a specific page, click the preferred language. The contributions in this conference reflect professional and consumer interests about stuttering and are presented by many different countries. Each paper also has a threaded discussion at the bottom of the page for your comments and questions. Authors of the papers will respond as they wish. Feel free to post your questions/comments at any time and check back for a response from the author. Contributors to the conference are solely responsible for the information they provide. The International Stuttering Association cannot be responsible for the accuracy of the information others provide. The authors’ papers will be permanently archived on the International Stuttering Awareness site pages for your future reference. Participants were asked for submissions, or to participate as experts, based on specific criteria. 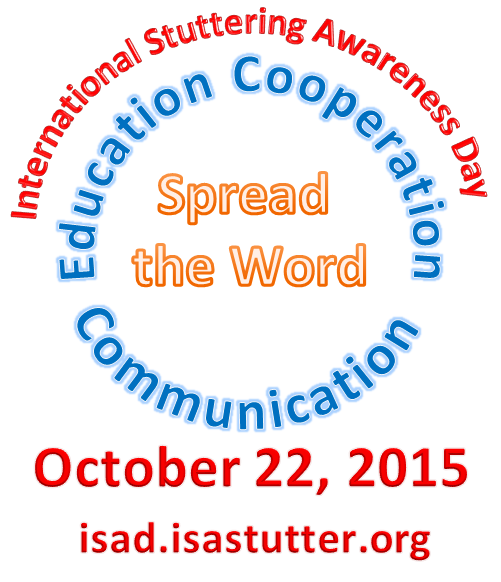 Click here for details about the requirements to contribute to this ISAD Online Conference.